My hubby and I bought snow shoes a few years ago and haven’t been able to use them much around here. So, we planned a mini spring break to go find snow. And we found it indeed. Snow in the lovely Black Hills of South Dakota. 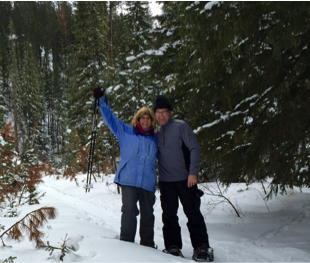 Snowshoeing for two days is certainly not like walking the hallways of our university. WOWEE…can we say winded?? 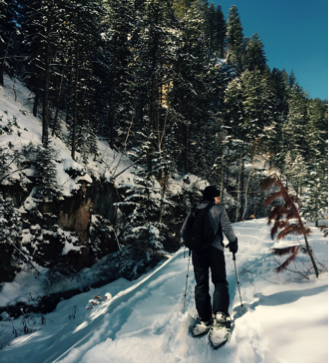 The first trail at Iron Creek found on Highway 14a through Spearfish Canyon was a gentle incline…easy peasy. We were a little winded after the first five minutes but it was doable. The best part…the scenery. It was gorgeous! God’s fingerprints were everywhere! The second trail at Eagle Cliff on Highway 85 was more aggressive…every five steps it was a catch-our-breath break which caused us to look down a lot. The snow…the snow was sparkly. Diamonds in the snow. The trail on the second day was the easy, gentle, gradual incline from the day before. We shoed farther in this time. About a mile and a half into the forest, there was a moment of silence that was so peaceful, so still. We heard ourselves breathing. We were the only humans on earth at that moment. Just nature and us. 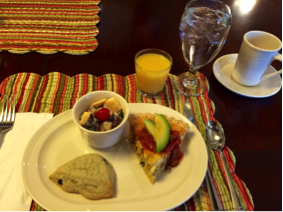 If you need a place to stay while visiting the Hills, we recommend you check out Summer Creek Inn and Spa…it was delicious! Who doesn’t love snow eats and treats after playing in the snow?! 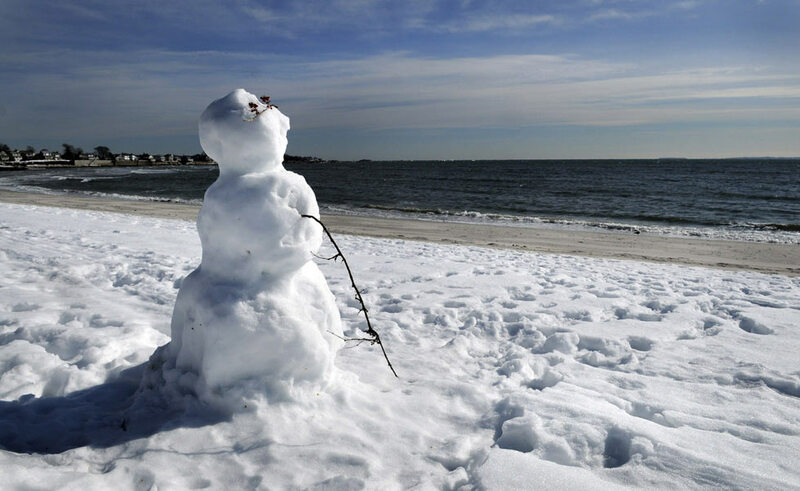 Spring break is just that…a break. A break from the hustle and bustle of classes and studying and homework and professors. 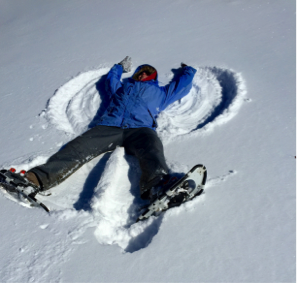 Snowshoeing may not be your idea of a spring break, but we recommend you give it a try!